Please wait while the game is loading. Thank you! 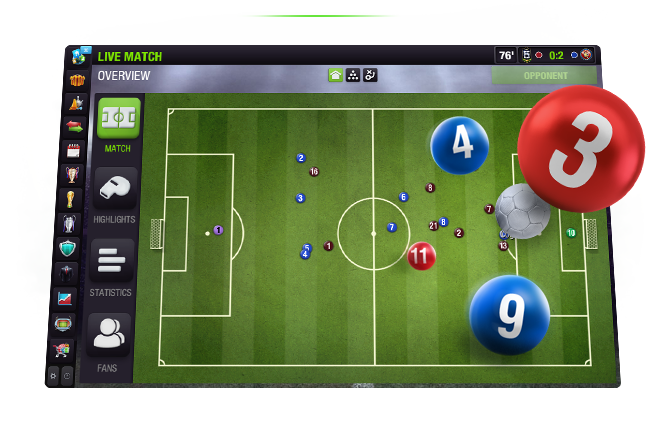 Please update your browser to the latest version and enjoy new Top Eleven! 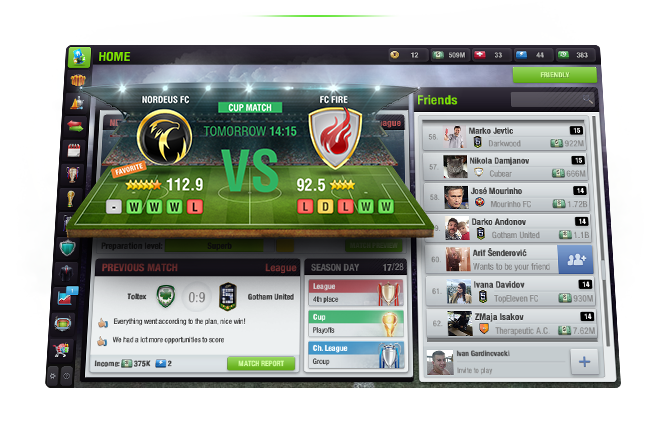 Unfortunately, the new version of Top Eleven does not support the web browser you are using. Get Firefox and enjoy the latest update! It seems that your system doesn’t support the new Top Eleven. Please try a different browser or contact our Player Support. Guide your team to victory! 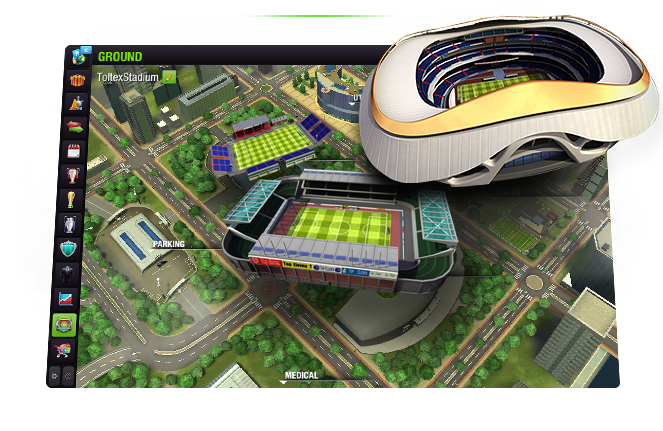 Top Eleven is the most popular online sports game in the World! Create and manage your own team, while competing with millions of other players across multiple platforms! Top Eleven is low on memory. Please reload the game or contact Player Support. Your browser is low on memory. Please restart your whole browser or contact Player Support. Something went wrong. Please reload the game or contact our Player Support.